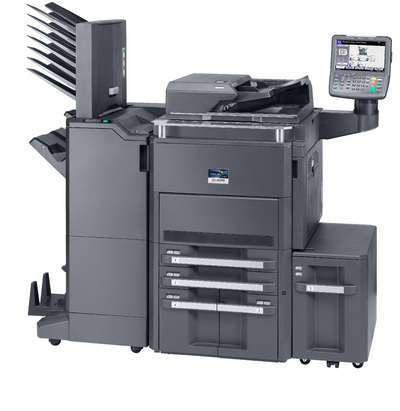 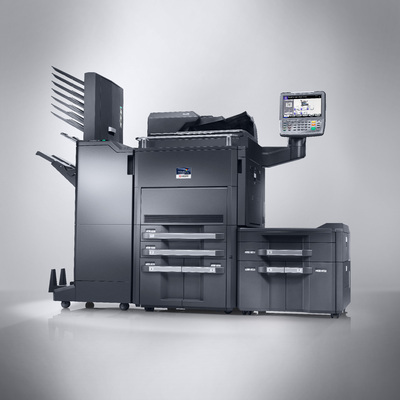 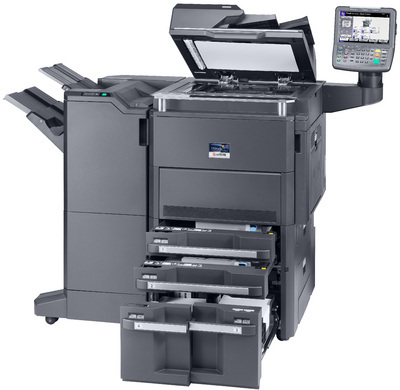 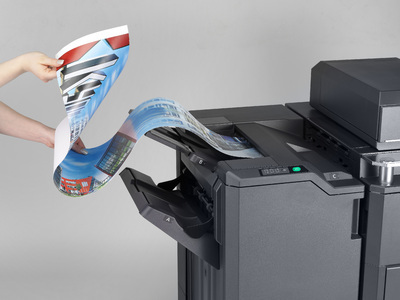 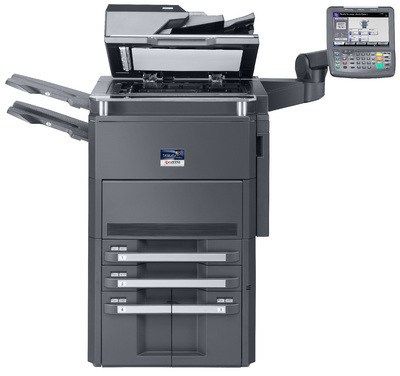 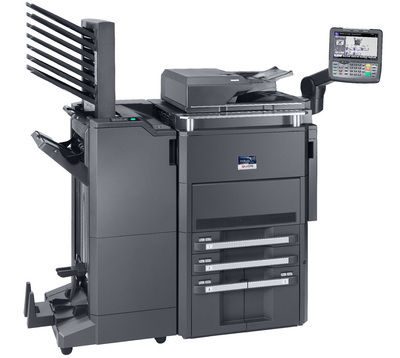 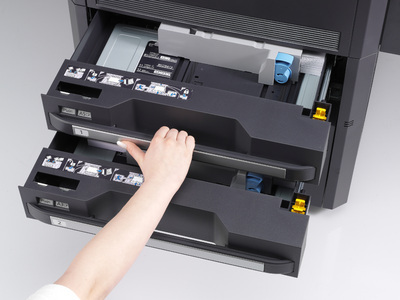 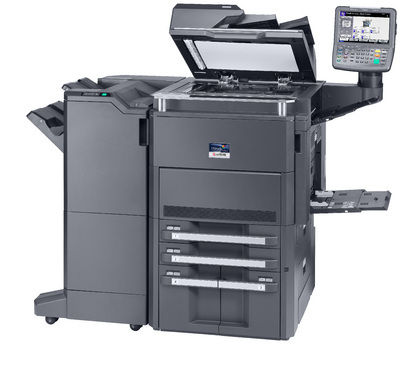 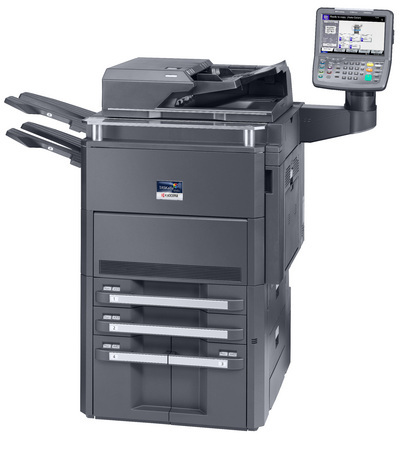 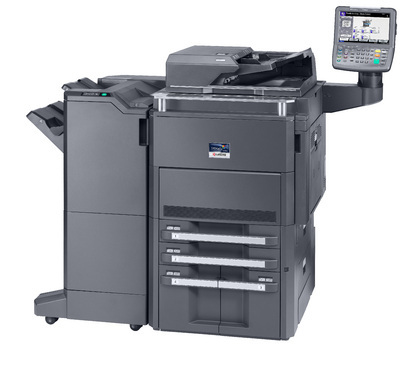 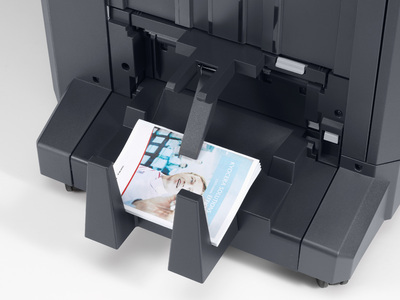 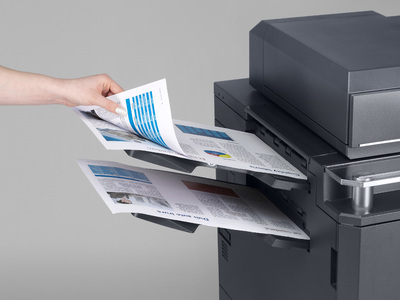 Designed to be the ultimate solution to your document imaging needs, the versatile TASKalfa 6550ci efficiently handles day-to-day projects at an impressive 65 ppm black and color, as well as more complex pieces with ease, through highly productive functionality, superior document handling and flexible product configurations. 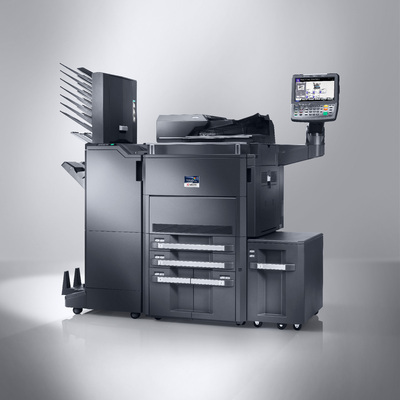 Create spectacular printed pieces in-house and reduce outsourcing costs thanks to exceptional printing capabilities and vibrant color technology, including an optional EFI Fiery® Controller. 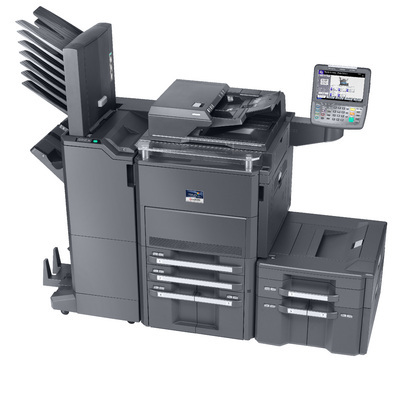 Transform your document workflow and simplify your business processes with the added power and capability of integrated business applications. 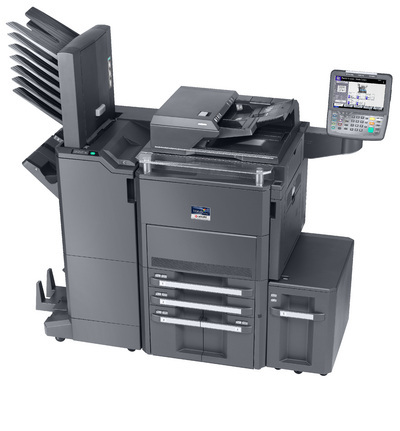 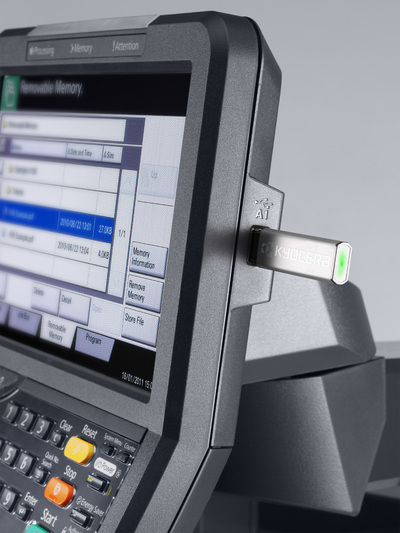 Kyocera’s award-winning ultra-reliability and unique long-life technology ensure superior performance, proven productivity and maximum efficiency. 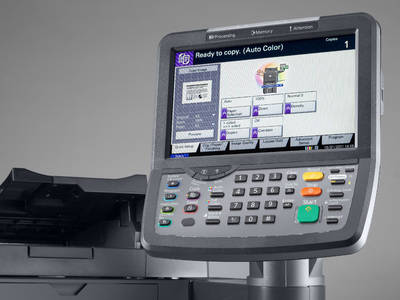 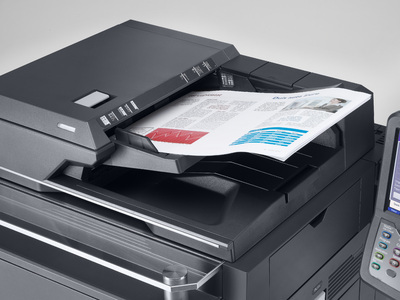 When it comes to document imaging innovation and quality you can rely on, the TASKalfa 6550ci delivers. 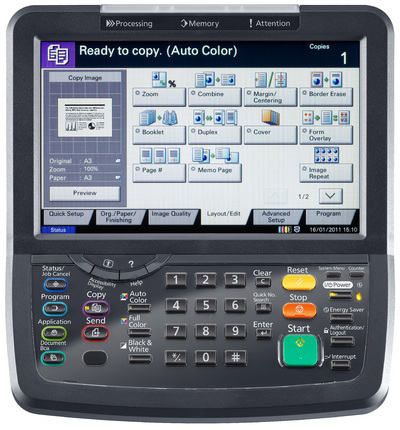 Dimensions 26.96" x 28.46" x 41.45"; with Control Panel: 42.87" x 28.46" x 52.99"
Original Size Through DP: Statement to 11" x 17"; Glass: up to 11" x 17"